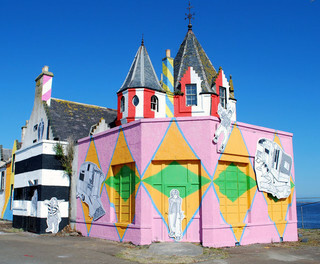 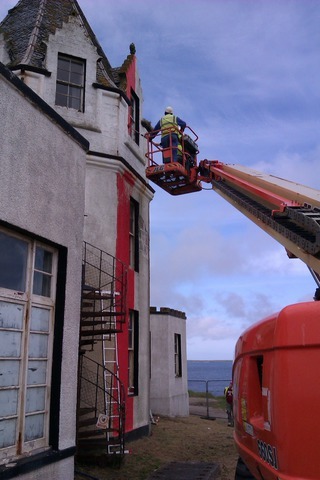 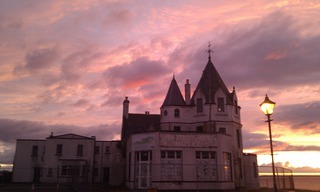 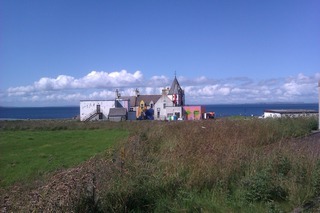 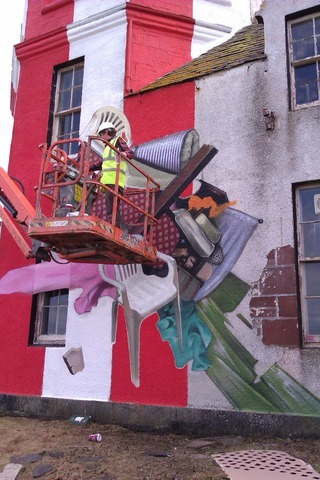 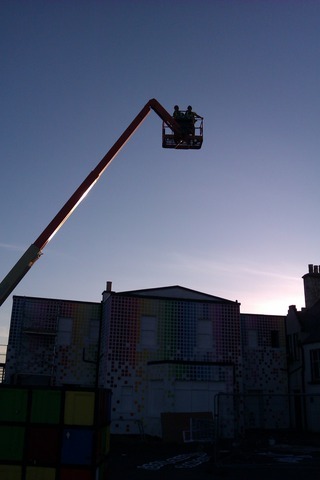 THIS PROJECT SAW THE WORLD FAMOUS JOHN O’GROATS HOTEL BEING TURNED INTO A GIANT CANVAS FOR BLAMELESS. 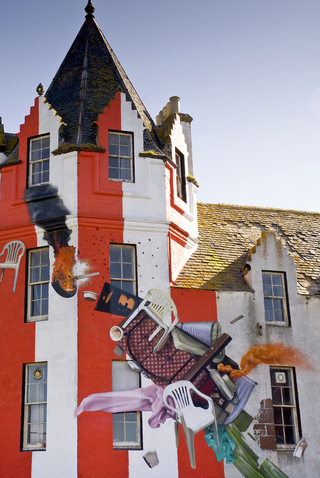 WE DESCENDED ON THE 19TH CENTURY HOTEL FOR A WEEK – THE ORIGINAL SITE OF THE HOME OF DUTCH FERRYMAN JAN DE GROOT – TO TURN IT INTO A GIANT INSTALLATION, BEFORE THE VENUE IS REDEVELOPED. 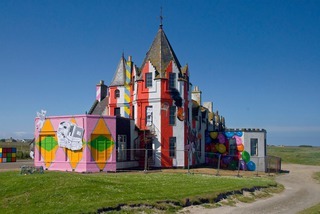 THE MAKEOVER, CARRIED OUT AS PART OF THE JOHN O’GROATS “TRANSFORM WEEKEND” EVENT, HELD ON JULY 2-3, IS PART OF THE LARGEST STREET ART PROJECT EVER SEEN IN THE HIGHLANDS. 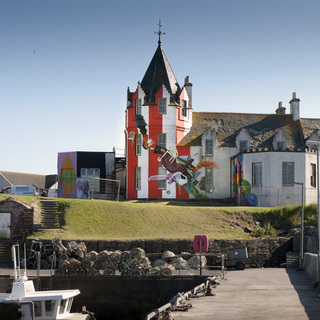 JOHN O’GROATS IS PART OF OUR NATIONAL PSYCHE – IT EXISTS TOGETHER WITH LOCH NESS, THE FORTH RAILWAY BRIDGE AND GRETNA GREEN AS ICONIC PLACES IN SCOTLAND.